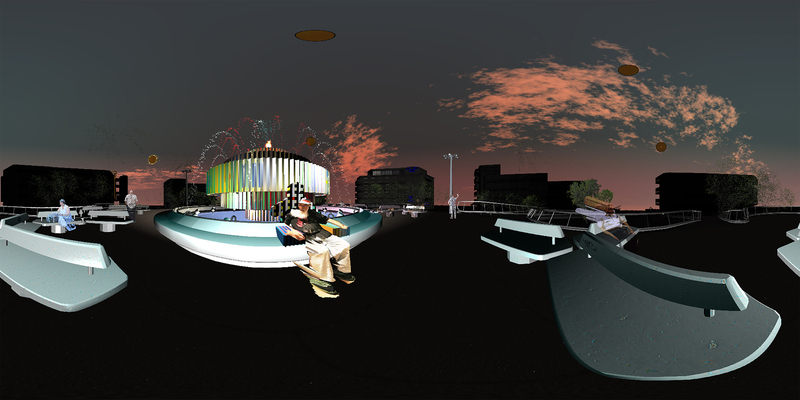 Tzina: Symphony of Longing is a poetic, interactive WebVR documentary in which the residents of the run-down Dizengoff Square in Tel Aviv muse on lost loves and things that are no more. At the beginning of 2017, Tzina Dizengoff square, one of Tel Aviv’s emblematic sites, was demolished. The square was a home for the lonely and marginalized characters of the area. 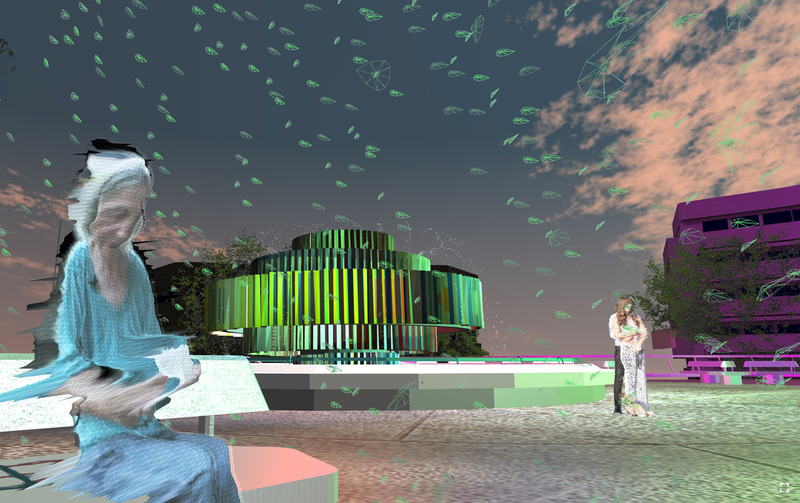 This project tells the story of the people who gravitated toward the square and spent their days in it, sitting on the same benches around the monumental fountain sculpture in its center. Different reasons led them there. They seem to be flocking to the square and merged with it in an almost symbiotic relationship, until it seems that they might be consoled by their shared loneliness at the ever-moving urban landscape. The project allows us to visit in a place that no longer exists. Tzina: Symphony of Longing invites the viewer for a physical walk to explore the square and it characters in different times of the day, with elements of animation, fantasy and interactive sound. It’s a fully interactive non-linear WebVR documentary for the Chrome Browser / HTC Vive. The viewer moves the story forward by acting in the virtual world- physically walking in the virtual square and approaching the characters. The characters were shot with Kinect in order to create a 3D body of live interviews. 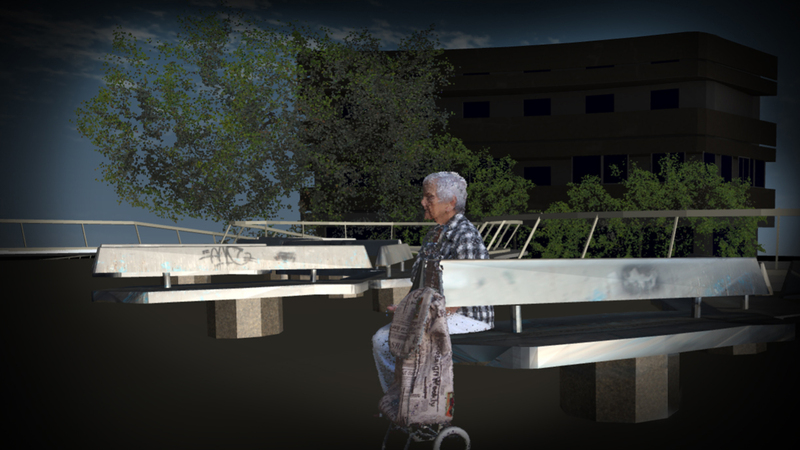 The viewer meets the real people while sitting alongside them in the square. There are 13 different characters, spread over 5 episodes. Each episode in the experience represents a different part of the day – from dawn to dusk, linking the episode’s protagonists to a specific theme that emerges from their personal story. Each encounter with a character combines elements of animation that depict parts of the story and detached the documentary aspect of the encounter into more fantasy one. 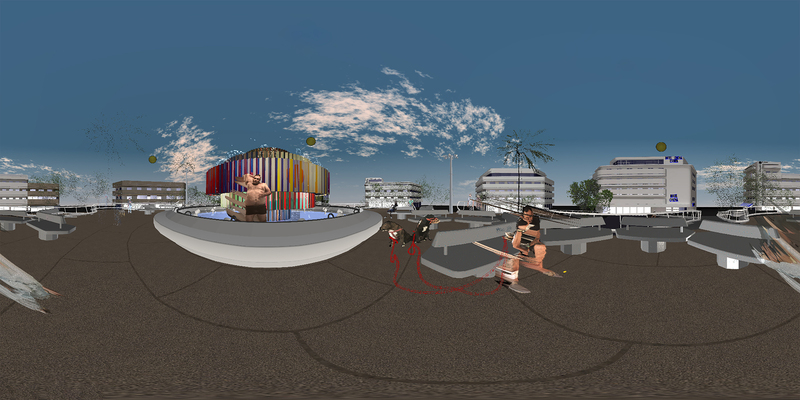 Tzina is a multi-user documentary – each viewer is represented by a pigeon, walking inside the virtual square. That way the viewers can be alone, yet together in the square (just like the characters).